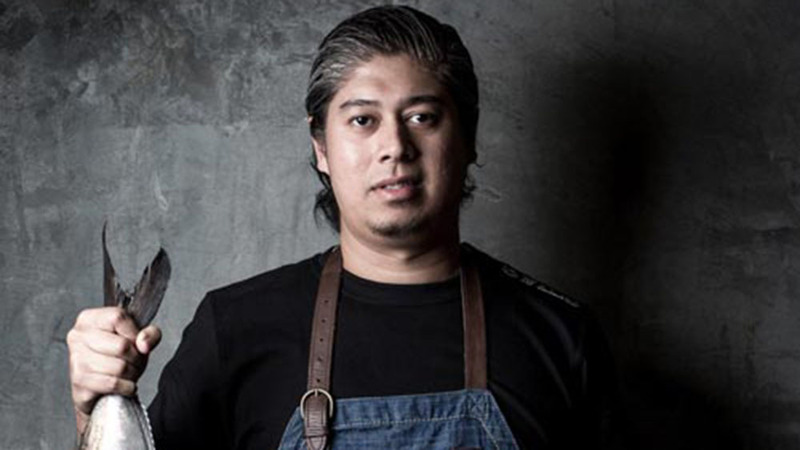 Chef Akmal Anuar is one of the leading head Chef of the World's 50 Best Restaurants. Singaporean born Chef Akmal started his culinary journey at an early age helping out his parent's hawker stall, which inspired him to be a Chef. His passion on food brought him to travel around the world, searching for the perfect balance palate of Singapore, China, Japan and Europe infused dishes, delighting customers with new dining experiences. His creativity, experience and passion for food enable him to create new menu and exciting delicacies. Diners are always treated to a refined blend of culinary traditions with Chef Akmal. Exquisite dishes like Edible Stones, Oysters, Foie Gras, Octopus, Wagyu Beef and other dishes that talk to one’s five senses are his specialities. What is the most special thing you create at your restaurant? First of all, we create experience at our restaurant. Consumer walks in a restaurant with some expectations and then it’s up to the restaurateur itself to deliver and fulfil those. It is the only judgemental point which decides if you would get your customers back or not. And, getting them back is only possible by meeting their expectations which undoubtedly creates an unforgettable experience for customers. Secondly, maintaining consistency is important to run any business. If customer comes for the first time then make sure to please him so that he visits again to have a unique and incredible experience. How do you define innovation at your restaurant? We create fun with food by pouring unique ingredients in our food. Innovation should be done with food firstly instead of innovating the ambience because food is the core of any restaurant. Name us a recipe that everyone should know? We have introduced an ice cream called ‘kadak ice cream’. It is inspired by the Indian ‘kadak masala chai’. We have transformed that tea into the ice cream and tried our best to create a unique experience. How restaurateurs should tackle the evolving trends in F&B industry? Trends keep changing because it is the only thing which drives this industry. To tackle this trend changing situation, restaurateur needs to focus on what they do perfectly and then do that thing only. But innovation should not be left out if they actually want to create an unforgettable experience. Being a Chef, what are your administrative and creative aspects? Administrative is when one pays the staff on time, takes care of the employees and handles management properly. And, creativity is crucial for our profession but then creativity should also be followed by sense in it. Over doing anything just hampers the work. As a Chef, one needs to find the balance. What will you be cooking this year? We will focus on keeping it simple this year and of course with an injection of creativity in it. We do not intend to play it safe but we will focus more on what people want from us.